Great Food! 50/50 Raffle! Live music by The Blues Brats! $15 per person requested donation includes food. 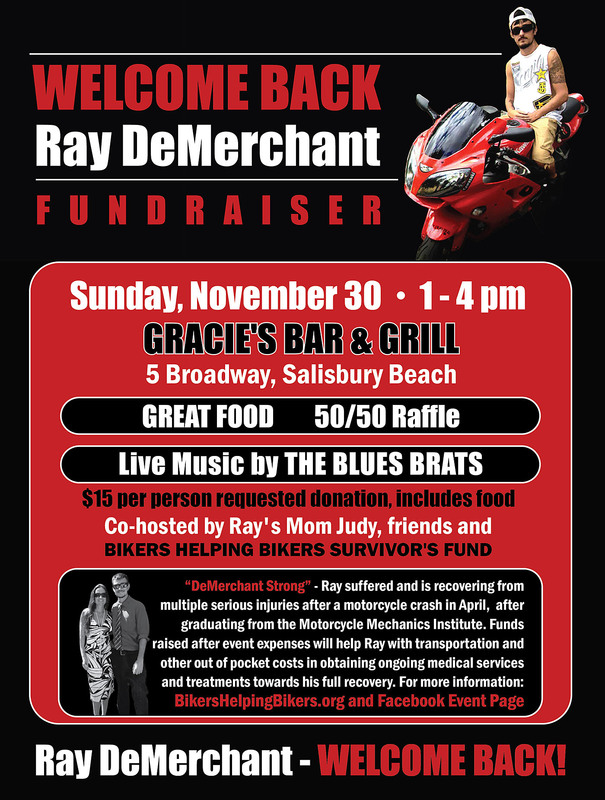 Co-hosted by Ray’s mom Judy, friends and Bikers Helping Bikers. You can purchase your tickets online with PayPal here. DeMarchant Strong – Ray suffered and is recovering from multiple serious injuries after a motorcycle crash in April, after graduating from the Motorcycle Mechanics Institute. Funds raised after event expenses will help Ray with transportation and other out of pocket costs in obtaining ongoing medical services and treatments towards his full recovery.